Sgt. 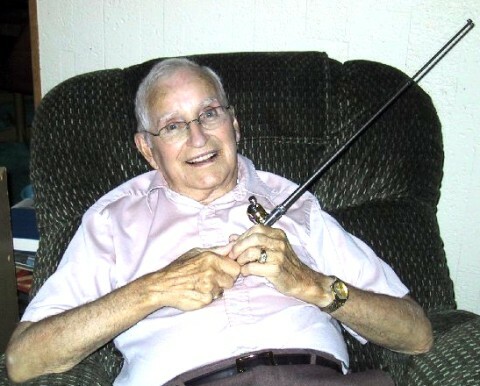 Bill S. (William E. Swegan) with a new fishing rod. Photo taken at his home in Sonoma, California, in the summer of 2005. His important writings on the psychology of alcoholism form the sole surviving record of the important wing of early Alcoholics Anonymous which stressed the psychological aspects of recovery from alcoholism instead of the religious and spiritual dimension. In the summer of 2005, Sgt. Bill Swegan and his wife Mary drove from California to Akron, Ohio, for Founders Day, and stopped off at Glenn Chesnut's house in South Bend for several days on the way there. A number of people from the area dropped by to greet Bill and Mary. 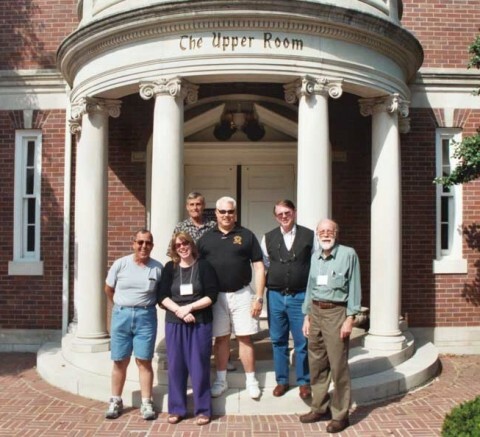 From left to right: Mike Brennan (Fort Wayne, Indiana), Bill Swegan, his wife Mary Swegan, Jerry (another visitor from Fort Wayne), Frank Nyikos, Submarine Bill Correll, Raymond Irving, John Stark, and Glenn F. Chesnut. John Stark (Fort Wayne, Indiana), a.k.a. "John Barleycorn," is a columnist for the Waynedale News. He and Glenn Chesnut stay in regular contact by e-mail and telephone, and get together in person at least one a week. 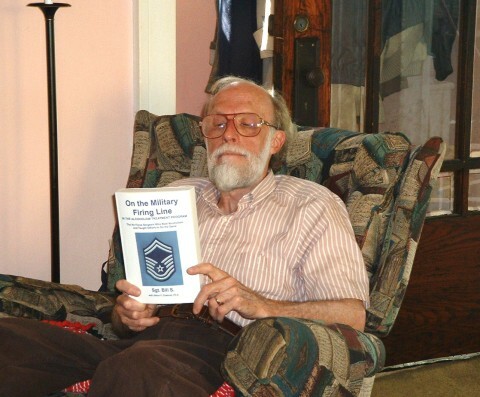 Glenn Chesnut sitting in his living room looking at a copy of Sgt. Bill Swegan's book. Bill was a Pearl Harbor survivor, who ran through the bullets and flying bomb fragments at Hickam Air Base (next to the harbor) during the devastating Japanese attack. 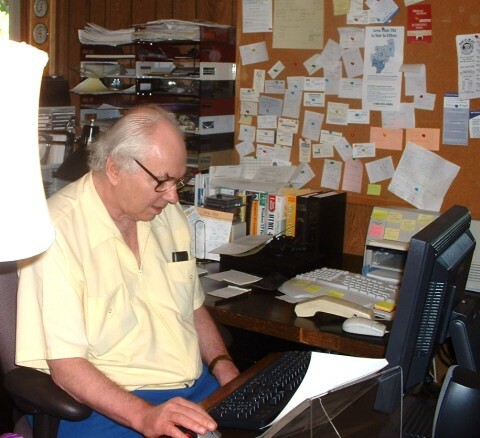 For more pictures of Bill Swegan, see the photos accompanying some of his shorter writings on the Hindsfoot Foundation website under "William E. Swegan." 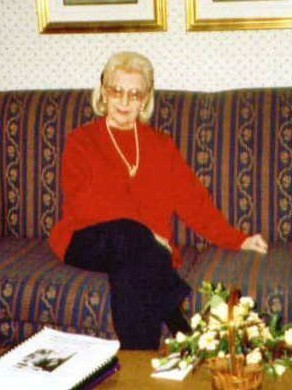 A snapshot of Nancy Moyer Olson taken when Glenn Chesnut and Frank Nyikos went to visit her in Kingston, Pennsylvania. Glenn was doing the editorial work at that time on Nancy's book With a Lot of Help from Our Friends, which came out in 2003. In that book, she told the story of her work with Senator Harold Hughes, whose legislative triumph, the Hughes Act, formed the most important piece of alcoholism legislation in the U.S. since the Prohibition amendment. 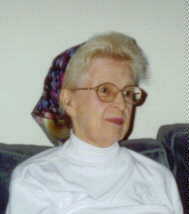 Nancy left Washington D.C. after her retirement and returned to Kingston, where she had been brought up as a child. It is a little town of 6,800 right across the Susquehanna river from Wilkes-Barre. 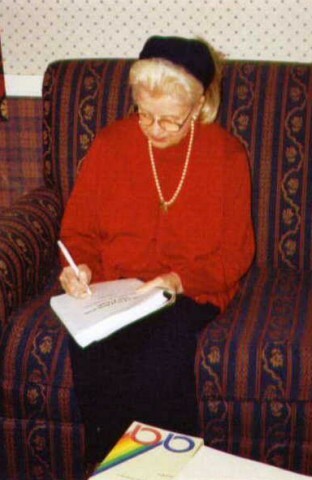 For more photos of Nancy and an account of her life, see the memorial written shortly after her death on March 25, 2005: Part 1, Part 2, Part 3, and Part 4. Glenn F. Chesnut (on the right) at the Upper Room offices in Nashville, Tennessee, next to the Vanderbilt University campus. Glenn Chesnut and the others were at the Ninth Annual National Archives Workshop being held in the Nashville suburb of Murfreesboro in Fall 2004. 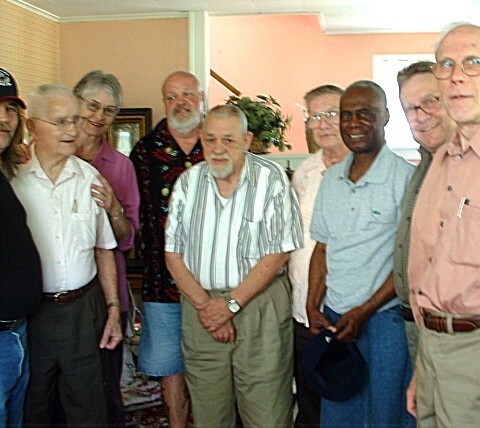 Florida lawyer Don Fucik (center, with black shirt and white shorts) arranged this tour of the Upper Room chapel and museum.